Since 1984, Reliance Consulting, LLC has provided outstanding accounting, tax, and consulting services in the Tampa area. We serve over 800 businesses and 1000 individuals. Thanks to our experience, we truly understand the needs of small business owners. 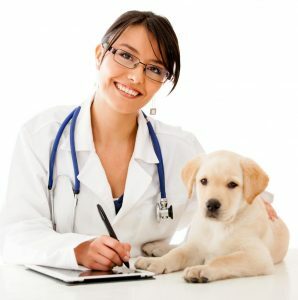 As one of a select number of firms specializing in veterinary services, we are an excellent choice if you want to build a solid foundation for your practice. We can meet your basic bookkeeping and tax preparation needs. We can also provide comprehensive consulting to help you improve your business. We offer efficient, personalized services that will enhance your business now and help carry it into the future. To schedule an appointment with one of our veterinary accountants or consultants, contact Reliance Consulting today. We know that you have two primary goals as a veterinary business owner. First, you want to provide excellent care to your patients. Second, you are looking to create a profitable business that provides security to you, your family and your employees. Through our accounting and consulting services, we can help you to build a more profitable practice. However, we do not simply look at numbers and figures. We know that you have poured time and heart into your practice, and you deserve our personal attention. We will collaborate with you to determine the most effective ways to improve your business. Our accountants and consultants will get to know you and the daily operations of your practice. With a full grasp of your business, they can provide more effective service. This team approach is unique in accounting, and we believe it can significantly enhance your success. In addition, we will form a long-term relationship with you so that you can continue to build your practice in the future. Amol Nirgudkar is a CPA and the leader of the veterinary team. He earned a bachelor’s degree in Accounting from the University of South Florida and a master’s degree in Business from the University of Tampa. Amol has professional consulting experience with some of the largest accounting firms in the world and has over 25 years of experience in assisting business owners achieve their dreams of successful business ownership. Tax planning is essential for a truly successful business. We can create an effective strategy to minimize your tax liability and increase profitability. Our superior service in this area sets us apart from other CPAs. We are happy to provide basic tax preparation. However, our long-term outlook could make a huge difference for your veterinary practice. We will discuss and modify your business plan as needed. With our guidance, you can take advantage of tax deductions and reduce taxes on investments. Our team understands the needs of the veterinary industry. They can provide invaluable guidance, supported by the latest trends and data. If you are unsure about your need for veterinary consulting, we invite you to come in for a free, no-obligation business check-up. We will explain the possibilities for your practice and outline several options that could help your business grow. At Reliance Consulting, our success is measured by the success of our clients. To learn more about our services or to schedule your free business check-up, contact Reliance Consulting, LLC today. Our team proudly serves veterinarians in Tampa, St. Petersburg, Clearwater, Sarasota, Pasco, Lakeland, Manatee, and the surrounding Tampa Bay area.